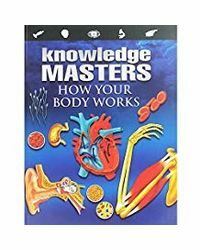 Inspiring, practical and totally revolutionary, here’s a book that provides you with the ultimate diet not just for your body but also your mind! Do you look in the mirror and dislike what you see? Are you always trying different diets? Do you feel guilty if you overeat? You’re not the only one. For sixteen years, model and actress Yaana Gupta struggled with her body and the way she felt about it. She tried every diet, worked out constantly but the fears remained. 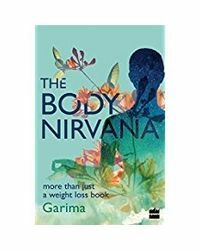 In How to Love Your Body (and get the body you love), Yaana writes about how she got the balance back in her life and learnt to love herself. Using her own experiences, she gives you easy to follow eating advice and the real lowdown on food from the right portions to eat to being healthy on the go. She also gives you great tips—how to understand the nutrition labels, the great dabba trick and the best snack to eat when you get a late-night hunger attack. Finally Yaana teaches you the greatest lesson of all—how you can learn to love and accept your body. Because without it, she argues, no weight loss will ever make you happy. Yaana Gupta is a model, actress and singer. She was one of India’s top models, the face of Lakmé and a Kingfisher calendar girl. Most recently she was a finalist on the TV show Jhalak Dikhla Jaa. She is currently recording her first album. 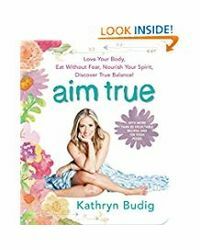 Inspiring, practical and totally revolutionary, here’s a book that provides you with the ultimate diet not just for your body but also your mind! Do you look in the mirror and dislike what you see? Are you always trying different diets? Do you feel guilty if you overeat? You’re not the only one. For sixteen years, model and actress Yaana Gupta struggled with her body and the way she felt about it. She tried every diet, worked out constantly but the fears remained. In How to Love Your Body (and get the body you love), Yaana writes about how she got the balance back in her life and learnt to love herself. Using her own experiences, she gives you easy to follow eating advice and the real lowdown on food from the right portions to eat to being healthy on the go. She also gives you great tips—how to understand the nutrition labels, the great dabba trick and the best snack to eat when you get a late-night hunger attack. Finally Yaana teaches you the greatest lesson of all—how you can learn to love and accept your body. Because without it, she argues, no weight loss will ever make you happy. About The Author : Yaana Gupta is a model, actress and singer. She was one of India’s top models, the face of Lakmé and a Kingfisher calendar girl. Most recently she was a finalist on the TV show Jhalak Dikhla Jaa. She is currently recording her first album.